I wasn't sure whether or not to do this, but finally decided to treat myself the same as everyone else, so this week's Lupus Business Directory Business of the Week, is my books and teeshirts. 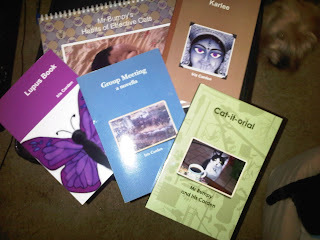 Books written by Iris Carden, who has lupus, and runs the Sometimes, it is Lupus site. Sells printed T-shirts, Mugs, etc. Original designs, by Iris Carden,, who has lupus, and runs the Sometimes, It Is Lupus site. OK, I realise that's two businesses, but you don't need my stuff featured two weeks in a row. If you have any chronic illness, and have a business you'd like listed in the directory, please email me the details.